An under-slab leak or a foundation leak in your DFW home isn’t something that should be ignored. Homes that sit on a concrete slab are typically completely supported by that slab. When water compromises the slab, the structural integrity of the whole house is at risk. 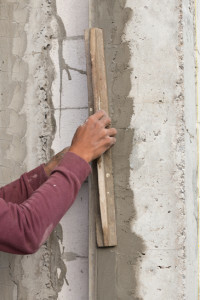 Essentially, a single piece of concrete will last a long time, but not forever, and over time small cracks start to appear, which can slowly turn into larger cracks. Small cracks are typically evident on the exterior of the slab and are often easy to spot. Catching these cracks early can be one of your best defenses against running into large problems down the road. An experienced plumber or slab repair expert will be able to fill small cracks with a bonding agent and avoid larger problems for a number of years. When larger cracks begin to appear, the repairs aren’t as simple as filling them with a bonding agent. Larger cracks might be evident with leaking and erosion as water is incorrectly displaced around the slab. A repair technician might have to fill larger cracks with concrete in order to properly repair them. In addition to repairs, larger cracks and even smaller cracks might be a sign of water being incorrectly directed towards the slab. Adjustments to the grade might be necessary. 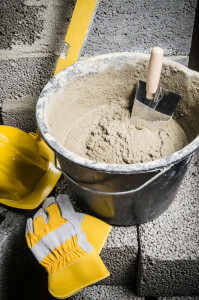 If an under slab leak goes unnoticed altogether, your concrete slab might eventually fail. Problems this serious might be evident as the interior of your home is affected. Doorways might appear slightly slanted, and the home itself might be at risk of slipping off the slab. The solution to this level of slab failure is bracing. Braces are inserted into different parts of the slab to support the house and, once complete, all cracks are patched and filled. The best way to avoid having to spend a large amount of money to repair a slab leak is to take note of how you’re treating your pipes, and keep an eye out for cracks in the slab. Regulate Water Pressure: If the water pressure throughout your home is very high, which can be the case for people who love high-pressure showers, you might be slowly damaging your pipes over time. Maintaining a safe water pressure throughout your pipes is the best way to ensure they last for many years. Chemical Disposal: Pouring corrosive chemicals down the drain can damage your drain connections and pipes over time. As a result, your pipes can deteriorate and eventually leak. Soft or Hard Water: Soft water is luxurious and feels great on your skin, but if the PH of the water gets too far away from 7, then the water can eventually damage your pipes. There are a few easy steps to take to help the pipes in your home last longer and, as a result; they’ll be less susceptible to leaking and in turn damaging the slab under your home. For more information about under slab leak protection or repair contact Accurate Leak & Line today!